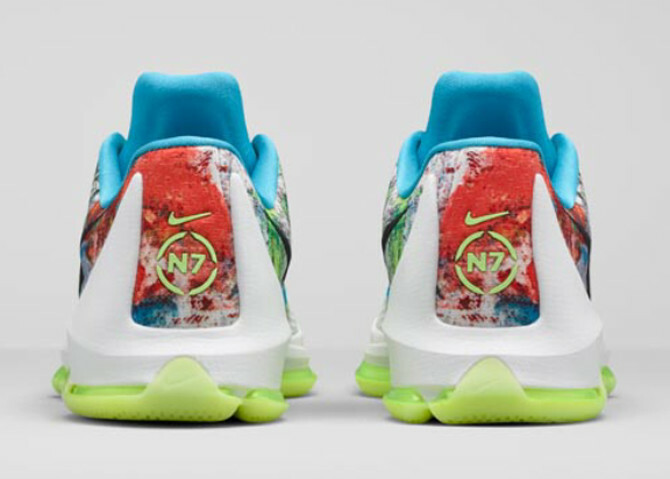 Kevin Durant's Nike line has taken part in the charitable N7 collection for years now, so it's not exactly surprising that an "N7" KD 8 is coming. 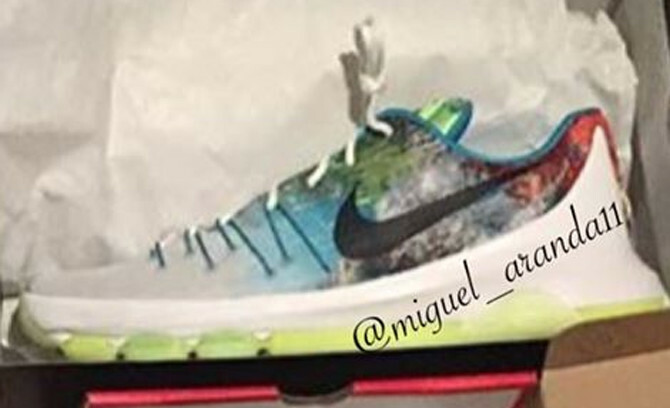 Shown here is what may be the world's first look at the sneaker. 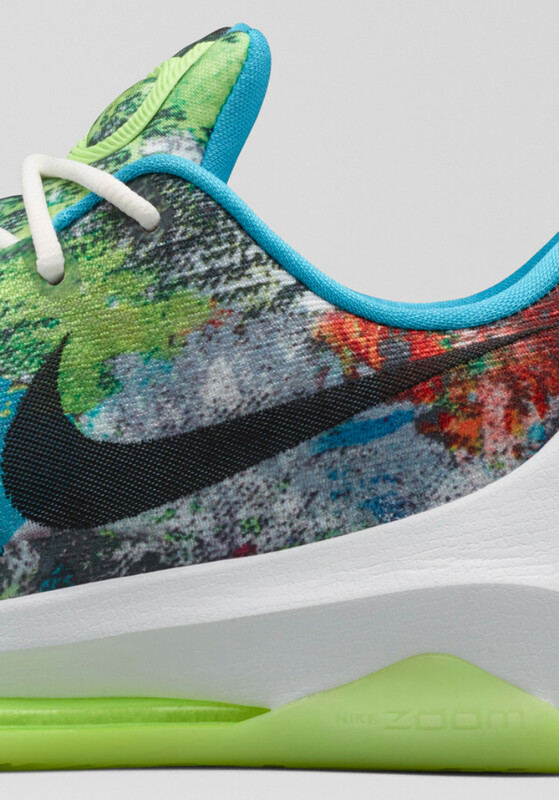 The official colors on this pair are white, anthracite and cool grey, although the sneaker pictured obviously has a much more vibrant look to it than what one would expect from that combo. 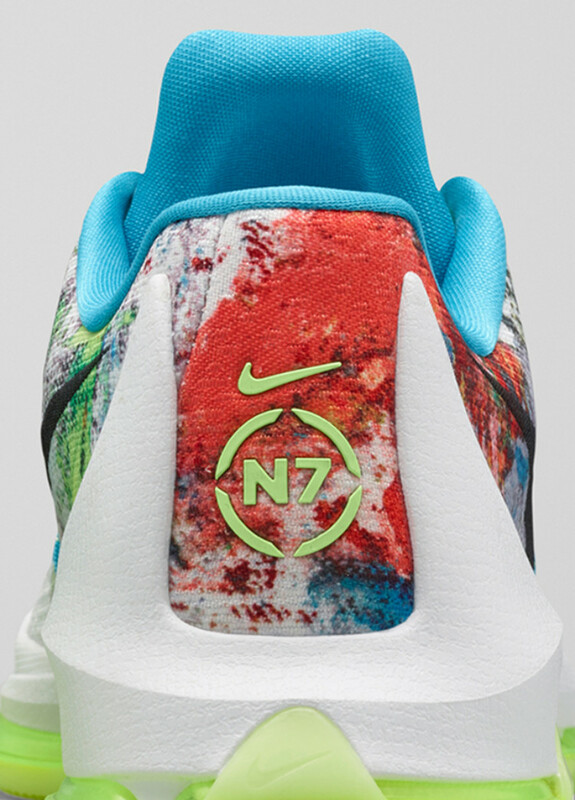 Unfortunately, it's difficult to spot any N7 logos in the grainy image. 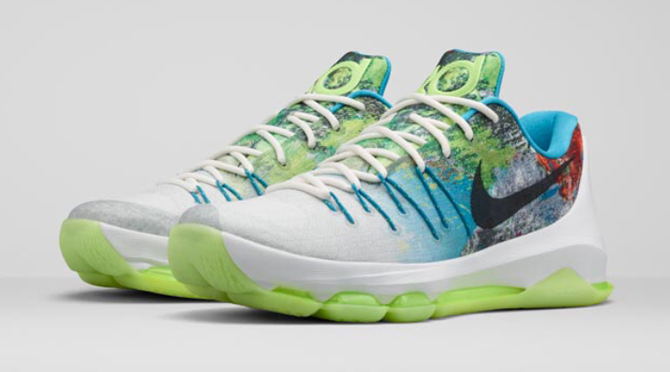 The sneaker release date for the "N7" KD 8 is currently set for Nov. 7. 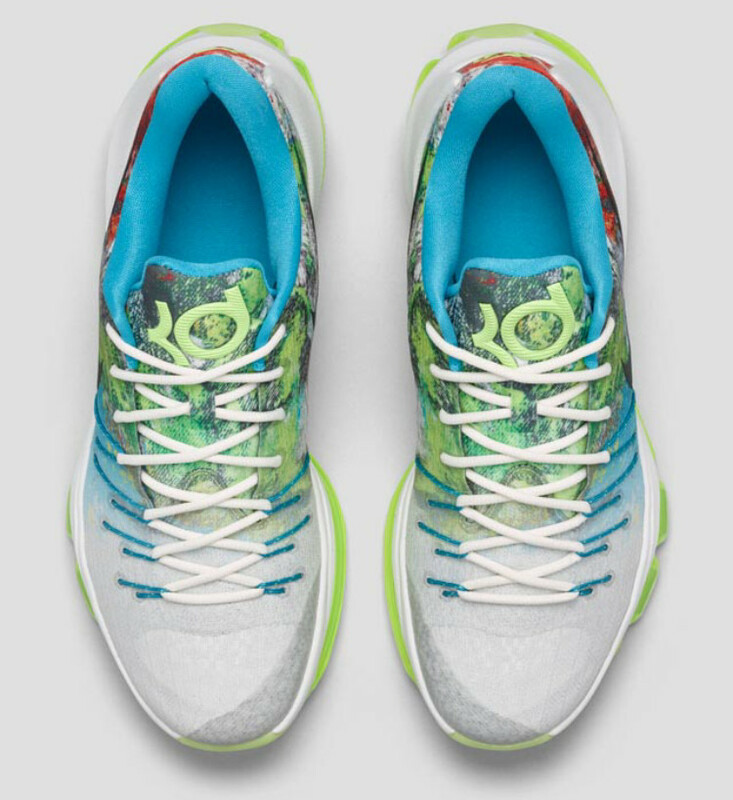 UPDATE 11/034: An official look at the "N7" KD 8s, which just popped up on the Nike SNKRS app.